Packaging design and branding vector templates. Basic labels with different geometric shapes: hexagon, diamond, square, ellipse and a modified rectangle. Shiny metallic or foil surfaces decorated with ribbons. Free vector graphics for all product labels, logos, packaging designs and badges projects. 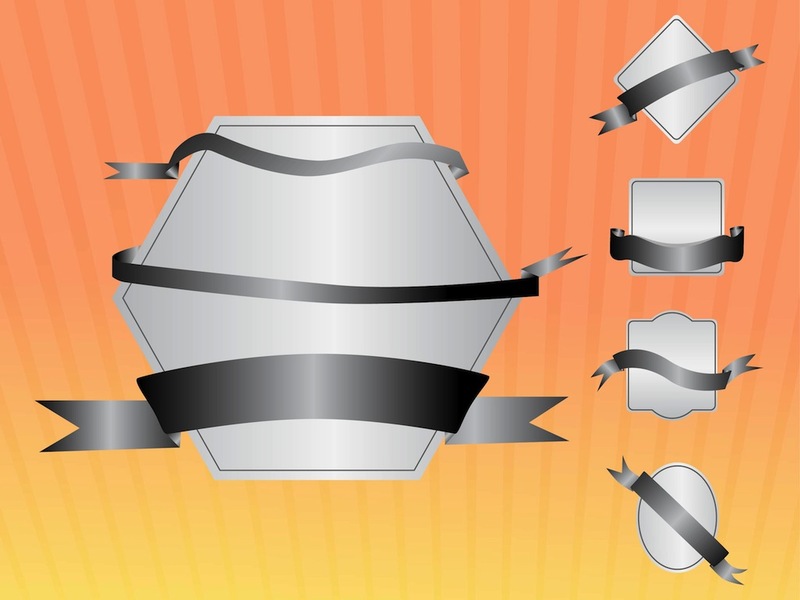 Tags: Badges, Labels, Logos, Ribbons, Shiny, Silver, Stickers, Templates.